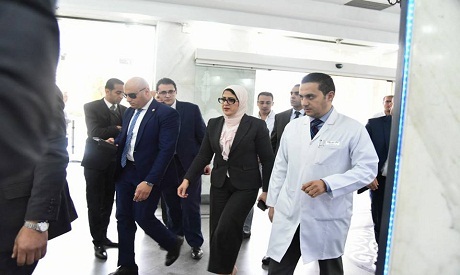 Egypt's Minister of Health Hala Zayed said that the death toll from the train crash in a central Cairo railway station on Wednesday has risen from 20 to 22, after two of the injured died in hospital on Thursday. The two deceased are reportedly a paramedic and an unidentified victim, according to Zayed. At least 20 people were killed and 41 others were injured when a blaze broke out in Cairo's Ramses Railway Station early Wednesday following the crash. Egypt's Prime Minister Mostafa Madbouly accepted the resignation of Minister of Transportation Hisham Arafat after the accident. CCTV video circulated online showed that a locomotive was left unattended at a train yard after its driver jumped out to speak with the conductor of another train that crashed into the first locomotive. The locomotive then sped off towards the railway station as its motor was left running when it was abandoned by the driver. When the two locomotives disengaged, the now-unmanned locomotive moved at maximum speed towards the railway station until it collided with a concrete barrier at the end of the train line and burst into flames. Shortly after the accident, President El-Sisi said he has instructed the government to hold those responsible accountable for the crash after conducting the necessary investigations. Meanwhile, the Cairo prosecution has ordered the locomotive driver who abandoned his vehicle to be drug tested. The prosecution has also tasked forensic experts with using DNA tests to identify the charred remains of the victims.